Claude Buchanan is turning 80. Ida Buchanan wants her husband to have a birthday he’ll never forget. His one request is for all of their children and grandchildren to be there for the party. They have four sons, and each one has a daughter—the heroines in each of the novellas. The cousins all share the last name of Buchanan. 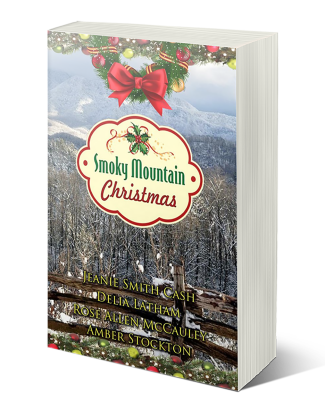 All four young women left Gatlinburg, Tennessee in the last few years—for reasons specific to each—and moved to another area or state. For that reason, they don’t want to return for the party. But because they love their grandparents, they do. Returning home forces each young woman to deal with what caused her to leave in the first place, and in each case, opens the door to true love. 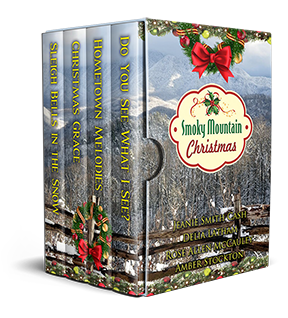 The birthday party takes place in Granddaddy and Granny Buchanan’s barn on Christmas Eve, and each of the four novellas end that same day, just prior to the party, which is featured in the epilogue accompanying the last book in the series. Available in softcover AND in softcover. Laramie Buchanan’s fiancé betrayed her on what should have been their wedding day. Evan Lassiter is still trying to recover from being jilted at the altar three years ago. 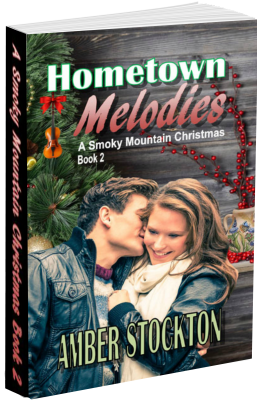 Now, with Laramie’s beloved Granddaddy celebrating his eightieth birthday (on Christmas Eve) she’s forced to return home to Gatlinburg, Tennessee. But even the memory of that awful day rips her heart to shreds. 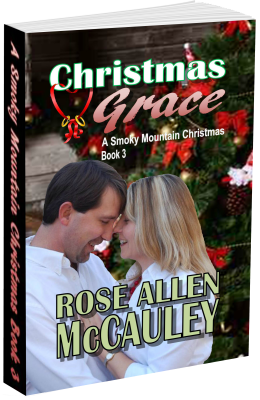 How can she survive a face-to-face meeting with the man she still loves? Yesterday's heartbreak blinds them both to a surprising truth that could heal their hurting hearts and save their love.